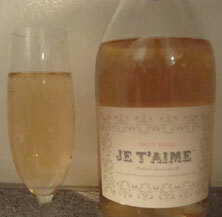 Sparkling wines have long been made around the city of Limoux, Languedoc, in the southwest of France. Starting in 1531, the monks at the abbey in Saint-Hilaire made the first Limoux sparkling wine. This is longer than Champagne has been made! There are three types of sparkling wines produced. The best known may be Blanquette de Limoux, made primarily from the Mauzac grape (also used in White Bordeaux). Mauzac has a lovely apple peel flavor. St Hilaire is a widely available example of Blanquette de Limoux, and a very nice wine at under US$20. Blanquette méthode ancestrale is made exactly as the monks did in 1531, 100% Mauzac and without disgorgement. It is cloudy and low in alcohol. Sometimes it's even less than 7% alcohol. Crémant de Limoux is the third and most modern. It was created to allow wine makers in the region to make more internationally styled or modern sparking wines. It has been around since 1990 and 40+ villages near Limoux are allowed to make it. Its biggest different is that the primary grape varieties used are Chardonnay and Chenin Blanc. From 40 to 70% Chardonnay, 20 to 40% Chenin Blanc, and even up to 10% Pinot Noir is allowed, with only 10 to 20% Mauzac required. Crémant de Limoux iwines are not expensive. I doubt I've seen a bottle for over US$20. J Laurens, Antech, and Jean-Louis Denois are three somewhat well known brands. I found the wine below in a market next to the gym I frequent in downtown Durham, New Hampshire. After seeing it dozens of times, I had to try a bottle. The color is a light yellow with copper and a tinge of pink. The nose has a nice orange tone with a somewhat flat chalky mineral characteristic. Out of the fridge this was anonymous and mediocre. I wasn't even sure if I'd finish the bottle. But as it warmed up, it showed some lovely orange flavors. For a tad under US$20 it's not necessarily a repeat, but not bad. Just let it warm up from refrigerator temp before imbibing.